I wrote about how I had stopped shouting in class, but I still struggle with students' lack of respect and attention. Talking while I'm talking, talking while other students are answering questions, texting, sleeping, and not paying attention get to me. I'm not saying that I want to be the centre of attention, don't get me wrong. I'm all for learner-centred environments, but students are being flat-out rude. At the end of my rope the other day I asked my advanced class if it was rude or acceptable in their culture to talk while other students were in the front of the room presenting. Shockingly enough they were honest and said it was acceptable. Fine. I realise I'm fighting culture, but in my class, it's an English class, so they're going to learn about culture in English speaking countries. I feel like I have to get a Native American talking stick. You hold the stick, you talk. Lesson learned: one person speaks at a time! Moving on, the lovely multitasking-I'm-attached-to-my-phone has also got to go. Ok, I know that I said I have surrendered to cell phones and I have, but wishful thinking can't hurt. I have used cell phones in lessons and students like it, but there's a time and a place. Research shows that multitasking like emailing, listening to music, surfing the net, etc. wastes time, causes students to learn less, and lowers their GPA. Remember the saying, "Jack of all trades, master of none?" Same thing applies here. Lesson learned: stop multitasking! 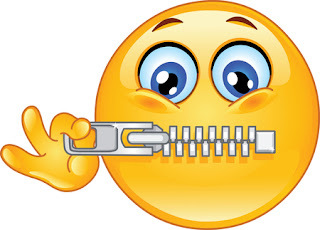 One tip: reduce TTT (Teacher talking time) to a minimum. Make sure all the students have to stand up when it's there turn to talk. Finally, no need for lengthy grammar explanations: If you're teaching the present tense, no need to say it's the present tense. Just write a few examples on the board (I eat, I drink, I play) and let students give further examples. Also, make sure you write stuff down on the board, as many Korean students don't like using sentences that are their pure creations.